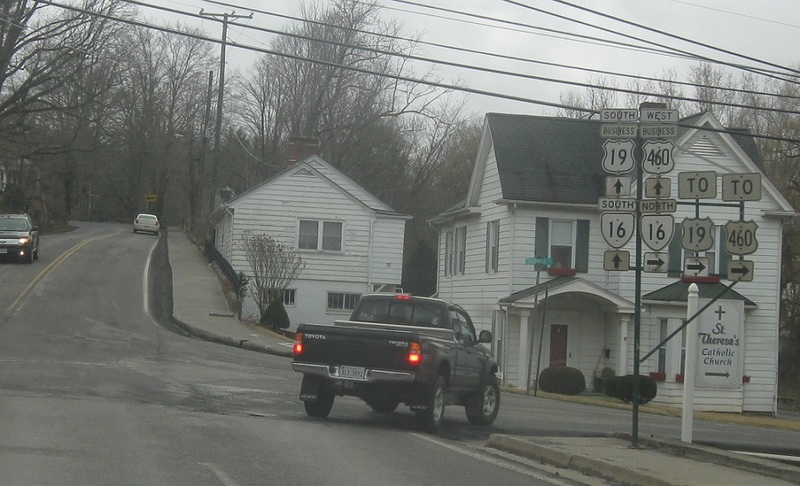 A few blocks later, we’ll approach Route 16. Turn right for 16 north to US-19 and US-460. Stay straight for 19 Business/16 south and 460 Business west.